FC Barcelona have come to face a major hindrance in their pursuit of Liverpool star Philippe Coutinho. Coutinho joined Liverpool for a fee of £8.5 million back in 2013, and has since managed to establish himself as one of the most important players for the Anfield club. The Brazilian has been in hot form this season for both club and country, and has therefore attracted the interest of numerous top clubs, including the likes of Barcelona. The Catalan giants have been rumoured to be looking to make an offer for the 24-year-old, but they may now see their movie blocked by a major obstacle. As per ESPN’s trusted source, it has now come to light that Coutinho – who signed a new long-term deal with Liverpool back in February 2015 – does not have a release clause in his current contract, which will last for three-and-a-half more years. Therefore, if Barcelona do come calling for Coutinho before 2020, the Reds will be in a strong position to either reject the bid, or to make the Catalans cough up a humongous transfer fee. The report also revealed that the Brazil international is “very happy” with life under Jurgen Klopp at the Merseyside club, thereby further crushing Barca’s hopes of securing his signature. 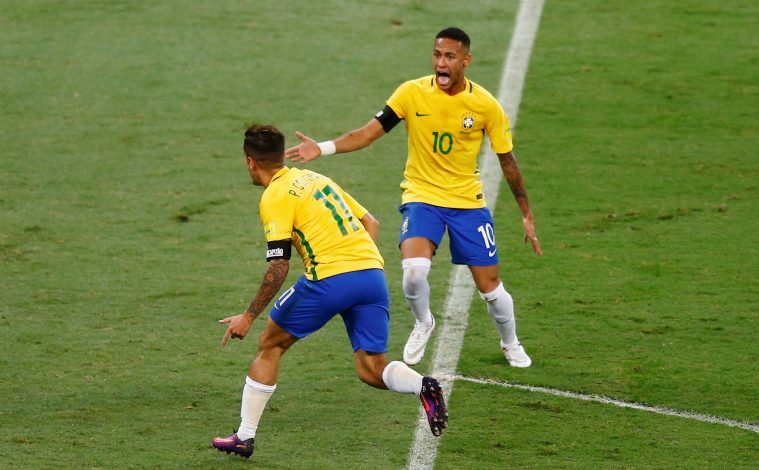 Amidst such speculation, Rodney Goncalves, Coutinho’s former youth coach at Vasco da Gama, has talked about how a partnership between Coutinho and Barcelona star Neymar could help Brazil – or any team, for that matter – conquer the world. Goncalves recently stated: “With Neymar and Coutinho playing together again, they are seen as the couple that can give us a lot of titles. They played together in the Brazilian youth teams and were the players who stood out when they played against each other in the youth sides for Vasco da Gama versus Santos.